We are an established professional Courier Company based in the centre of London. We operate a fast and reliable courier service for documents, parcels and pallets throughout Birmingham, the Midlands region and the rest of the UK. 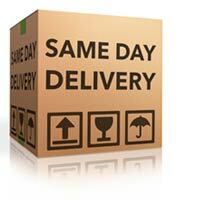 Our delivery services cover addresses in the UK and International destinations on a same day/next day basis. For your convenience we can set up a regular delivery or just deliver a one off package or document. If you feel that a regular delivery service would suit your needs better then why not set up an account with us to make it more convenient and quicker for you to have a package delivered. If you need to book with us now then please go to our booking page and enter your details, we look forward to hearing from you! Wherever you are situated in the great city of Birmingham, we can be there at your place of residence or premises within 45 minutes of booking to receive your package, parcel, document or even pallet and deliver it safely and on time to any destination you wish throughout the UK, Europe and also Worldwide. So please give us a call us on 0845 226 8379 to book one of our professional Birmingham Couriers and leave all the transportation needs and worries to us at Links Couriers. 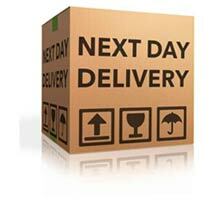 We offer an overnight delivery service, scheduled deliveries and special distribution services. Each service is customised to meet the unique requirements of each and everyone of our clients. 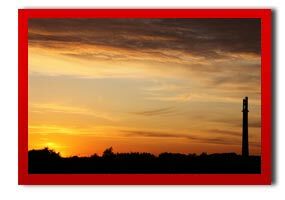 The pricing we offer is great value for money and amongst the best and most competitive in the industry. "I used Links Courier and i was very pleased with the service provided. The driver was very polite and carried out the job with extreme efficiency. I will use them again in the future and i would recommend them without hesitation. Great job." More kind words can be found on our Testimonial Page. This large city and metropolitan borough in the West Midlands stands on the small River Rea and is called the second city in the UK. It is the largest and most populous British city outside London, with a population of just over 1.1 Million ( figure for 2014). Therefore with so many streets and businesses to know it makes sense to choose a courier firm that is established for many years and with a vast experience of the area. For more and to see if you place is covered then please check the Wikipedia Page with regards to postcodes in the Birmingham Area, we cover the lot!